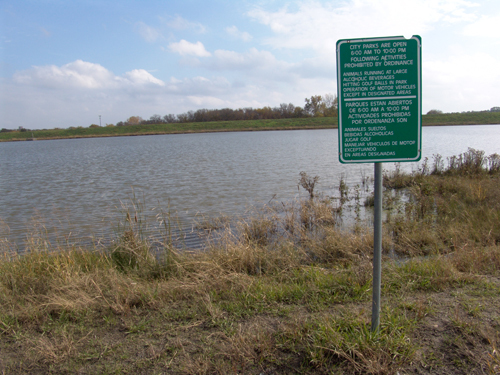 Little Lake is the local name given to Soil Conservation Services Hickory Creek Basin Retarding Pond #16 (SCS #16) within Denton, Texas and the Trinity River Basin. 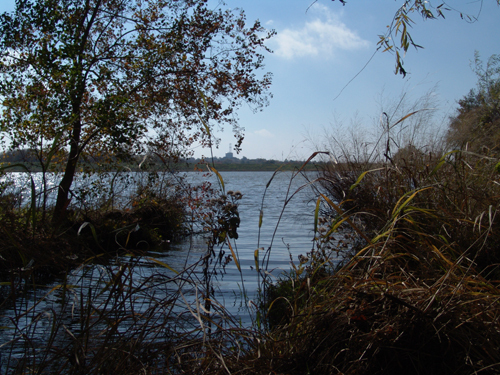 Originally constructed in 1975 as a retention / detention pond to prevent floods like those in 1957 and 1962, which devastated downtown Denton, the Lake soon exceeded its capacity as a hydraulic infrastructure, attracting wildlife and becoming host to vibrant, hybrid cultural and ecological diversity. To this end, Little Lake provides a unique opportunity to research the intertwining of many ecological elements: (1) modern hydraulic infrastructure, (2) biodiversity (great blue herons, yellow-crowned night heron, egrets, ducks, and beavers), (3) cultural diversity and human experience, and (4) economic development (the area surrounding Little Lake has seen new businesses, new homes in recent years). 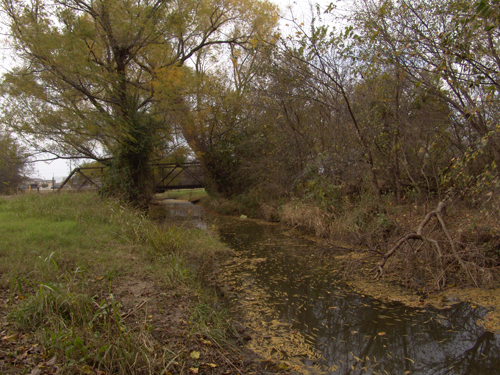 In collaboration with WaterWays 2010 and Fluid Frontier and the students and faculty of UNT, Ecoarttech’s mission is to imagine the human, aesthetic, and ecological importance of this man-made “nature” retreat within an urban space. Welcome to the Field Research Blog. Remember: responses can be creative, meditative, literary, philosophical and posted to this blog as text, videos, images, or sounds. Explore, experiment, and have fun! Click on the link above to see UNT’s Philosophy of Water Project’s Poster about the animal and human wildlife at Little Lake.